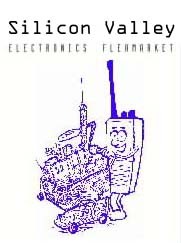 Want to keep track of what&apos;s happening with the Electronics Flea Market? You can join our email list. We promise not to share your information with others and honor unsubscribe requests promptly. You can easily recognize list email because it is from efm AT svpal DOT org and the subject will begin with “[EFM]”. We send out reminders of upcoming flea markets and who&apos;s sponsoring that month&apos;s flea market. We will let you know about any changes in the market and perhaps send other information of interest to market attendees. Note that this is an announcement only list, so any email to the list will be forwarded to the list moderator and not posted to the list. Click subscribe to load the sign-up page. It&apos;s not necessary for you to provide a password as the list will generate one for you and email it to you. You only need the password to modify subscription options or to unsubscribe. You can always request an email with your password should you need it. The list management software (Mailman) will send you an email to confirm your subscription. After confirming your subscription the list software will send you a welcome message and your password. Each email from the list includes links to modify your subscription or to unsubscribe, so just use the links. You may also use the subscribe page to unsubscribe from the list.